This is to track the students behavior throughout the day with the Behavior Chart. At the end of the day the fill it out and place in the child's folder. Parents can sign it and send it back in. 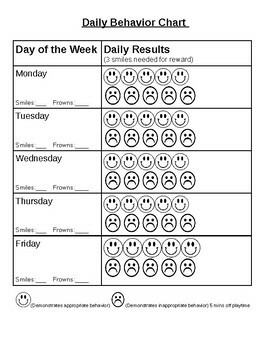 This is a great way to track student's behavior over the course of a day.